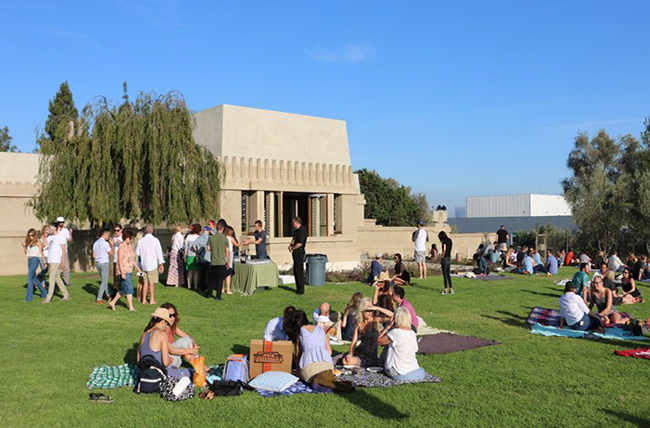 Perched atop Olive Hill in the west lawn of historic Hollyhock House (which you can tour during the evening for an additional $15), the Barnsdall Friday fundraisers include fine selections of boutique wines provided by Silverlake Wine with a spectacular sunset and 360-degree views of the city (taking place from Friday June 1 2018 - Friday August 31 2018). Bring along a blanket and a picnic basket, or just nosh on the variety of food trucks parked up there. Though there used to be lots of kids running around, the event lawn is now 21-and-up—perfect for a date night. Proceeds support the park’s art programs and historic renovations. Click here for more info.